Throughout the school year, representatives from each branch of the United States Military visit Clovis East High School's Counseling Center to meet with interested students. If you would like more information about a career in the military, we encourage you to check out the Today's Military website, speak with your counselor, and sign up in the Counseling Center to meet a recruiter. Interested in attending the United States Military Academy at West Point? JUNIORS should begin the application process now. FRESHMAN & SOPHOMORES can request an e-brochure explaining how to prepare to apply to West Point. Come to the Counseling Center for additional Information. 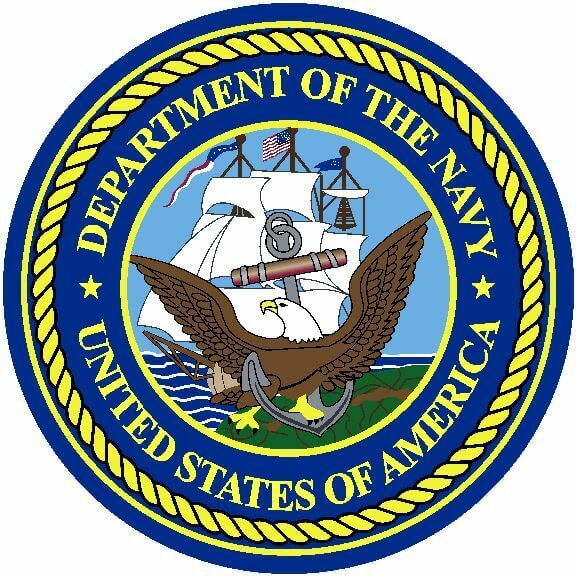 Each branch of the United States Military will be invited on campus throughout the school year in the College & Career Center during lunch break. 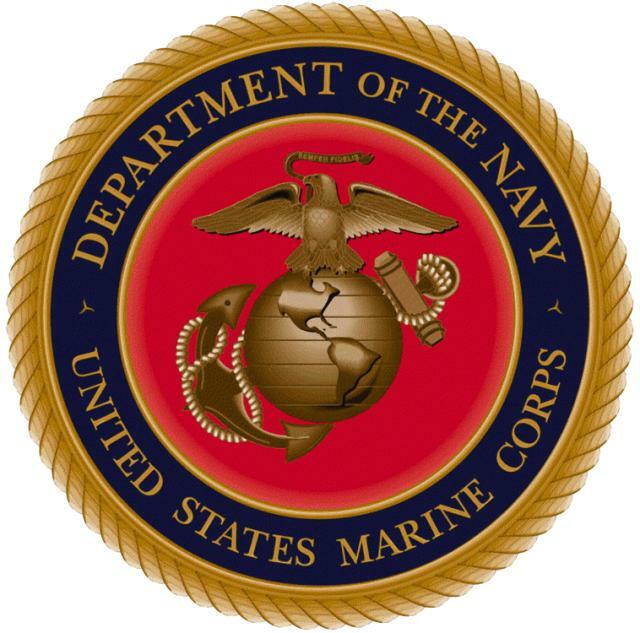 Listed below are the recruiters and contact information for each branch of the military. The Armed Services Vocational Aptitude Battery (ASVAB) is a multiple choice test used to determine qualification for enlistment in the United States Armed Forces. Drop in the Counseling Center to pick up a copy of the ASVAB Career Exploration Program Overview Guide to learn more about the test and access sample test questions. 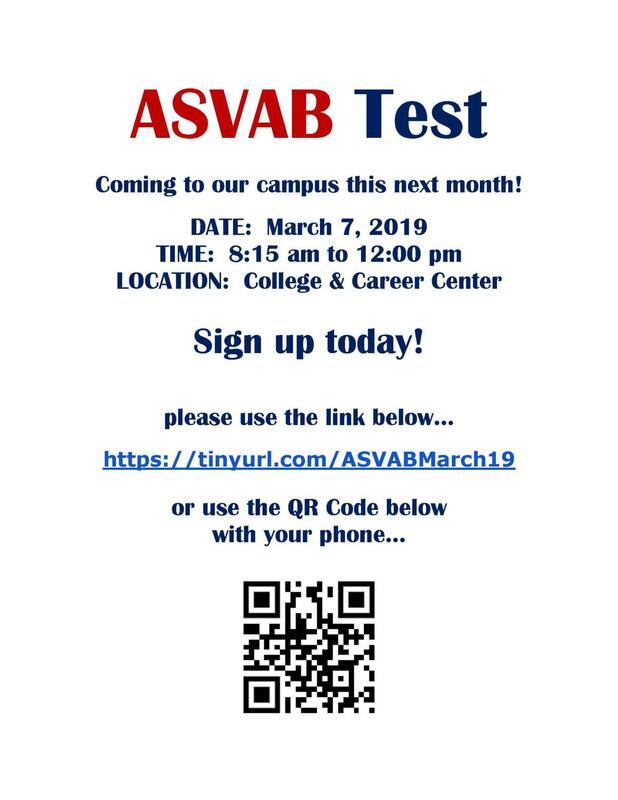 The ASVAB is given twice a year in the College & Career Center on the Clovis East campus. To take the exam, students must be in 10th, 11th or 12th grade & must pre-register. Please stop by the Counseling Center and see Ms. Hulbert for more information. ROTC stands for Reserve Officer Training Corps. It's a college program offered at more than 1,000 colleges and universities across the United States that prepares young adults to become officers in the U.S. Military. In exchange for a paid college education and a guaranteed post-college career, cadets commit to serving in the Military after graduation. When enrolled in ROTC you learn first-hand what it takes to lead others, motivate groups and how to conduct missions as a military officer. If interested, meet with a recruiter during your junior year to learn more about the application process. Applications are being accepted for students seeking a Congressional Nomination to attend a United States Service Academy. For graduating seniors, the Academy Nomination Application must be mailed or hand delivered to the Congressman Devin Nunes's Visalia Office by Thursday, November 15, 2018. The Congressman’s annual Academy Night is at 6:00 p.m. on Tuesday, October 16, 2018 at the CUSD Professional Development Building in Clovis. This evening is for students (of all grade levels), along with their parents, to meet representatives from the academies, gather information and learn about academy life and the congressional nomination process. Please visit the Congressman's website for even more Academy information. To check the district in which a student resides, please visit www.house.gov and use their home address zip code in the top right corner of the website. If you have any questions, please don’t hesitate to call (559) 733-3861.